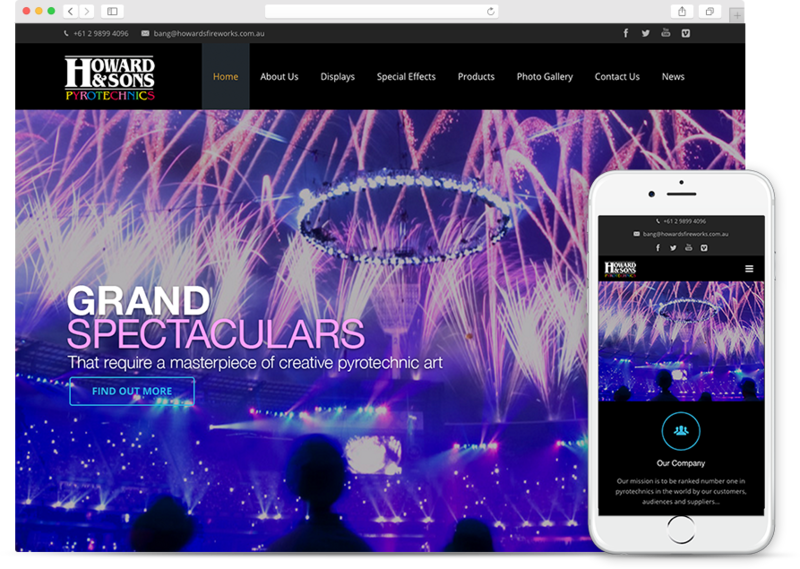 Magik Digital and Howard & Sons Pyrotechnics, probably the world’s longest-standing family-run pyrotechnics firm, have had an exclusive and extremely loyal relationship for the past twenty years. As one of Magik Digital’s first clients, this connection provided an initial, very steep learning curve for the web design and management company which has in turn furnished digital design know-how with experience, awareness and insight. This loyalty has caused both parties to turn away offers from competitors; a sense of corporate allegiance which Magik Digital has readily transferred to its portfolio of long-standing clients. For 100 years, Howard & Sons Pyrotechnics has been a pioneer in the world of pyrotechnic displays and special effects. Famous all over the globe, this family business designs and performs the most impressive displays for national and international sporting events, holiday celebrations, concerts, and corporate launches. Experienced by tens of thousands and viewed by TV audiences in their millions, Howard & Sons Pyrotechnics choreograph fantastic displays of colour and electrifying noise using their own designs. Their current website is the fifth in line of a series of Magik Digital creations. 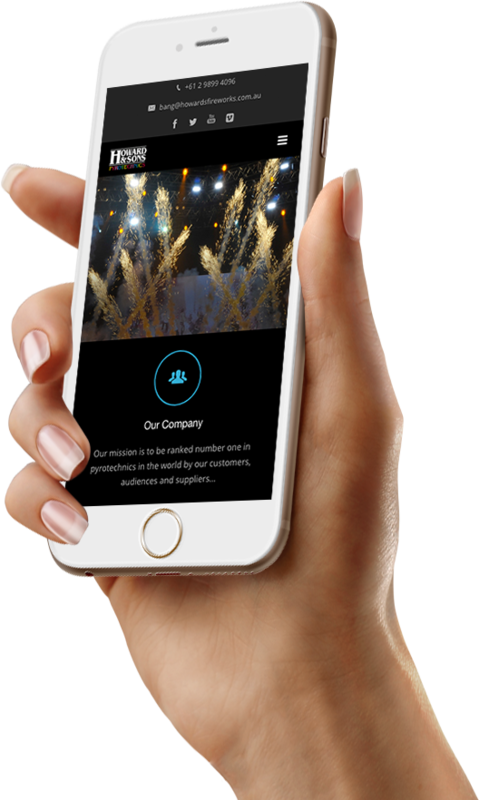 From firework design to complex firing software, the in-house design team create thousands of unique effects for close-proximity and outdoor displays. The company has its own manufacturing plant, storage facilities and also arranges all national and international logistics. 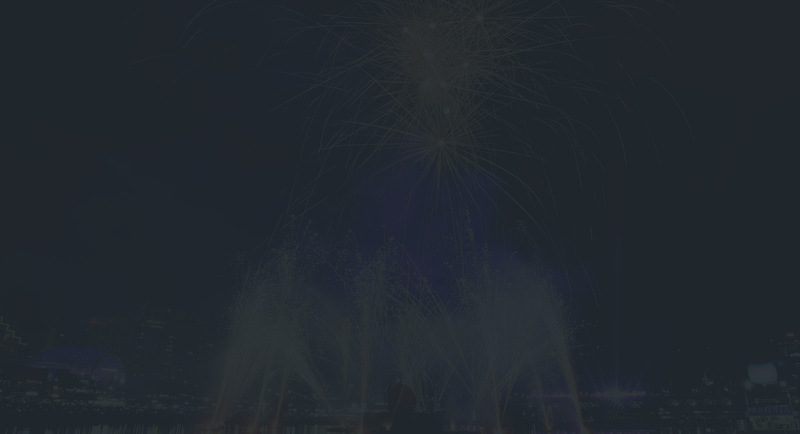 Choreography, set installations from land or water firing sites, professional pyrotechnicians, urban licensing and transportation are all offered by this innovative pyrotechnics specialist. Famous for their grand spectaculars which coordinate water walls with explosive colour that erupts in time to music, Howard & Sons Pyrotechnics is ensured its prime position in ingenious pyrotechnics for at least another century. With such a colourful and exciting medium already available, Magik Digital used the majority of its time designing menu form and colour palette. The brief included creating a site that functioned perfectly on all devices, browsers and operating systems. With stunning imagery already provided, it was Magik Digital’s job to create the right environment in which to display the client’s displays. The countless complements Magik Digital has received for the Howard & Sons website proves that this perfect environment has been successfully achieved. With an array of images featuring sweeping neon colours against a black sky, Magik Digital was responsible for providing the right backdrop which complemented these stunning Howard & Sons Pyrotechnics extravaganza photographs. By picking out less represented colours from within these images, the background further enhances them– if this is at all possible. Text was created in short, clear and concise blocks but was kept sufficiently informative with plenty of alliteration to add the extra dimension of rhythm. Magik Digital researched and integrated SEO keywords and made use of bullet points to avoid overt distraction from the eye-catching imagery. This website is the perfect example of a picture saying a thousand words. Basing a design on this philosophy meant producing a distinct, clear menu, smooth data transfer, and fonts which remained legible even with a multi-coloured background. 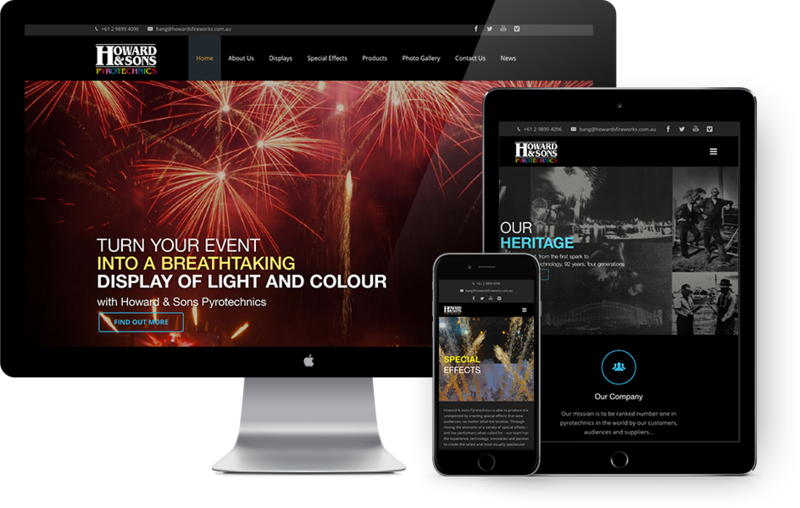 While Howard & Sons Pyrotechnics provided the stunning imagery, Magik Digital produced the framework upon which these images would look their best.